An Easter egg hunt is often the highlight of the season as little ones race through the yard searching for goodies. While it is natural to stick with the hide-and-seek method of hunting each year, there are several alternatives to add a creative touch to the holiday season. 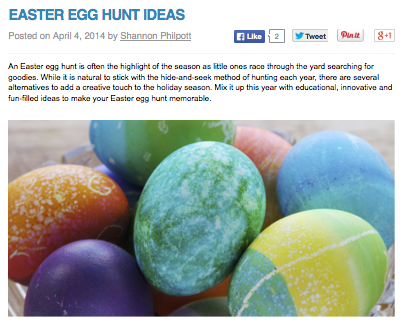 Mix it up this year with educational, innovative and fun-filled ideas to make your Easter egg hunt memorable.